Oh, friends, I'm so excited to share this name of God with you, because it took some unraveling for me to make sense of what seemed like a contradiction about it. God is referred to as our stronghold—a very good thing—more than a half-dozen times on the pages of Scripture. But I struggled with this particular name because, in Bible studies I've done in the past, strongholds have been presented as bad things. 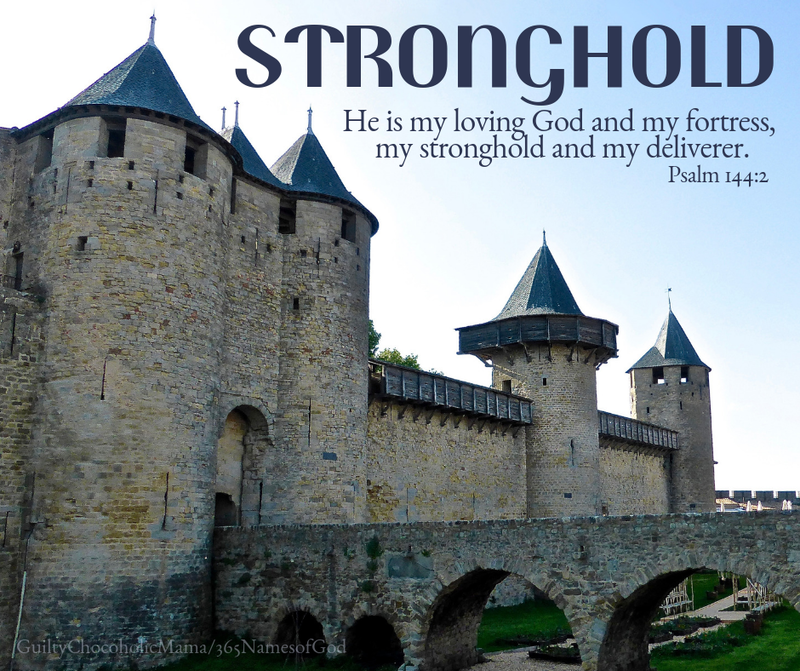 In general terms, a stronghold is a place of refuge, a fortress—and God surely is that. But if we run to a shelter that is not God and make it our source of security, it can become a stronghold. In her Breaking Free study, Beth Moore defines a stronghold (lowercase "s") as "anything not of God that is mastering me." Clearly (blessedly), this is another example of how something apart from God can harm us while when it is with God, it can help us. God's Word beautifully backs this up, lamenting earthly strongholds and lauding God our Stronghold. Earthly strongholds promise us security but then trap us so that we are bound up in and by whatever is holding us: a job, a relationship, a habit, a "comfort," a goal. God does not want us to have strongholds, but He does want to be our Stronghold. Earthly strongholds confine us, while our eternal Stronghold frees us. Earthly strongholds rule us as tyrants, while our eternal Stronghold protects us as a gentle shepherd. And earthy strongholds, left unchecked, ultimately destroy us, while our eternal Stronghold delivers us—to Himself.